Dr. Ramiro “Sonny” Cavazos is a Texas native who earned an undergraduate degree in zoology at The University of Texas at Austin and medical degree at The University of Texas at Houston. 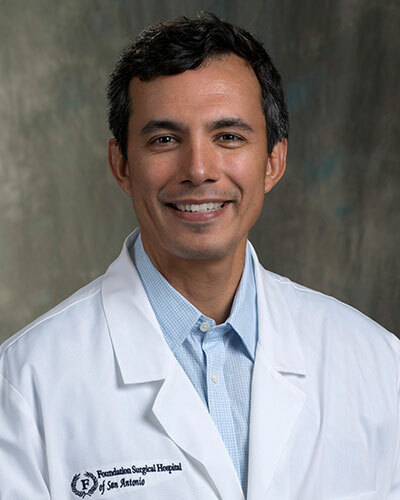 Dr. Cavazos completed his general surgery residency at Exempla Saint Joseph Hospital in Denver, Colo. He began his experience with bariatrics while completing a fellowship under the direction of Dr. Alan Wittgrove, a respected bariatric surgery expert known throughout the world. Dr. Cavazos studied with Dr. Wittgrove at the prominent Wittgrove Bariatric Center in San Diego, California.Dr. Cavazos brings to Foundation his broad experience in laparoscopic surgery and extensive operating room technical expertise for Bariatric procedures, including laparoscopic gastric bypass, Lap Band®, and revisional Bariatric procedures. Dr. Cavazos is certified with the American Board of Surgery and is a member of the American Society for Metabolic and Bariatric Surgery.